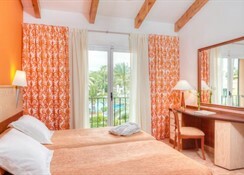 The rooms at Blau Colonia Sant Jordi Resort & Spa feature tiled floors and bright colours. 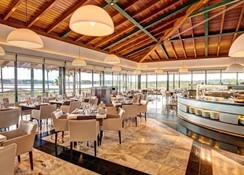 Each one comes with satellite TV and a private bathroom with hairdryer.It offers a spa, indoor and outdoor pools and air-conditioned rooms with a balcony.Blau Colonia Sant Jordi Resort & Spa offers 192 double rooms and 203 family suites spread out over two to three storey buildings. - Doubles with Twin or King Size bed. - Doubles for single use. 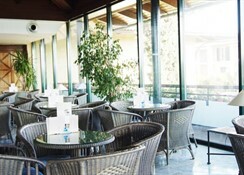 - With terrace or balcony. - Non-smoking rooms. - Special rooms for the disabled. All of the rooms are large and comfortable and have: - Mini-bar, Direct telephone, Room adjustable air conditioning/ heating, TV-SAT, Ceiling fan, Piped music, Safety deposit box (additional charge), Full bathroom with hairdryer and infrared lights, Bathroom kit, Cot on request (free). 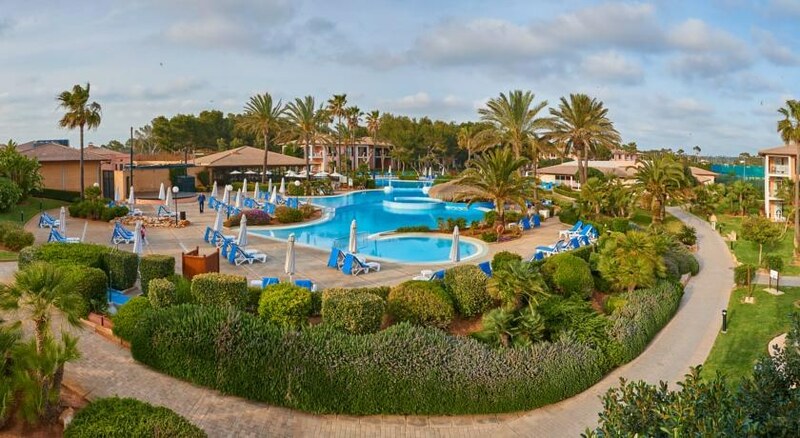 Imagine ...the most beautiful virgin beaches of Majorca, the Mediterranean Sea with the silhouette of the Island of Cabrera in the background and an entire spectrum of services and facilities designed to make your holidays an unforgettable memory. 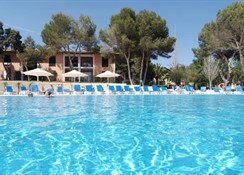 Colonia Sant Jordi Club is located on one of the most beautiful and well-preserved beaches in Mallorca, Es Trenc. Our hotel is built on 8 hectares of land. 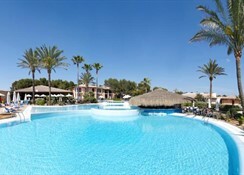 Colonia Sant Jordi Club offers 192 double rooms and 203 family suites spread out over two to three storey buildings.Numerous patios, tranquil gardens, fountains and beautiful lakes are located throughout the premises of Colonia Sant Jordi. Children will enjoy the large pine forest and special facilities designed especially for them. Discover our wide range of leisure and sports activities for adults.